Noburr - a map with dozens of homes, including both crimson and corruption! Also, a couple added terrain features! BEFORE YOU READ THIS: IN ONE OF THE CHESTS IS A PORTAL GUN. THIS IS BECAUSE I FEEL LIKE THE GAME GIVES IT TO YOU TOO LATE TO ENJOY. IF YOU DO NOT LIKE THIS AND WANT TO RECEIVE IT AFTER MOON LORD, DELETE THE ITEM AFTER YOU LOOT IT. This map is made for people who may not want to, or do not like building. 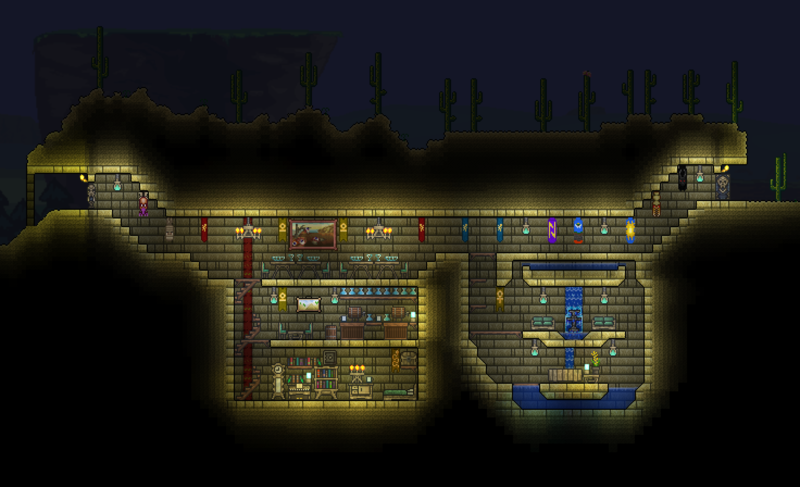 Whatever your reason is, laziness, lack of motivation, or just wanting to plow into progression with some friends, sometimes we don't feel like building in terraria. And that's okay. 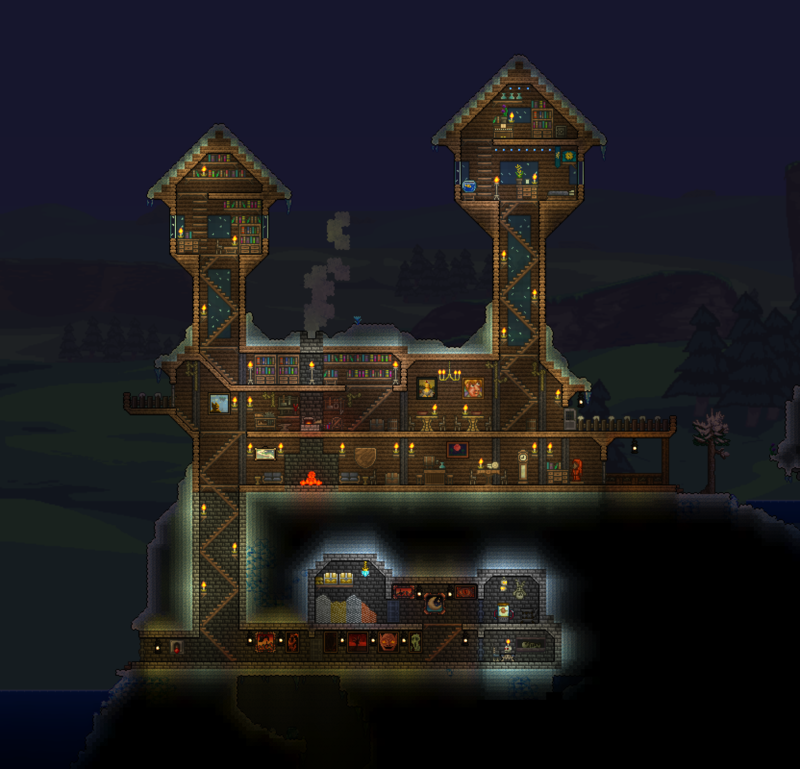 But if you don't build a base, you just end up with a bunch of ugly NPC towers. And that's not okay to a lot of people. So, I made this map in response to that. Use it however you want; take the buildings and put them into your world with TEdit, blow them up, I don't care. But have fun with it. This is an open source map that anyone can use or modify. /u/internetosaurus ... Made more buildings than probably me. 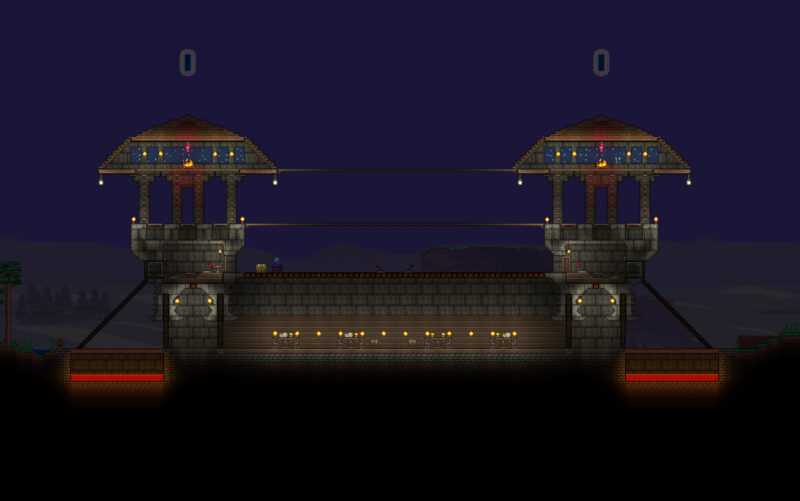 The buildings by him are lifted from his 1.2.4 world with permission. 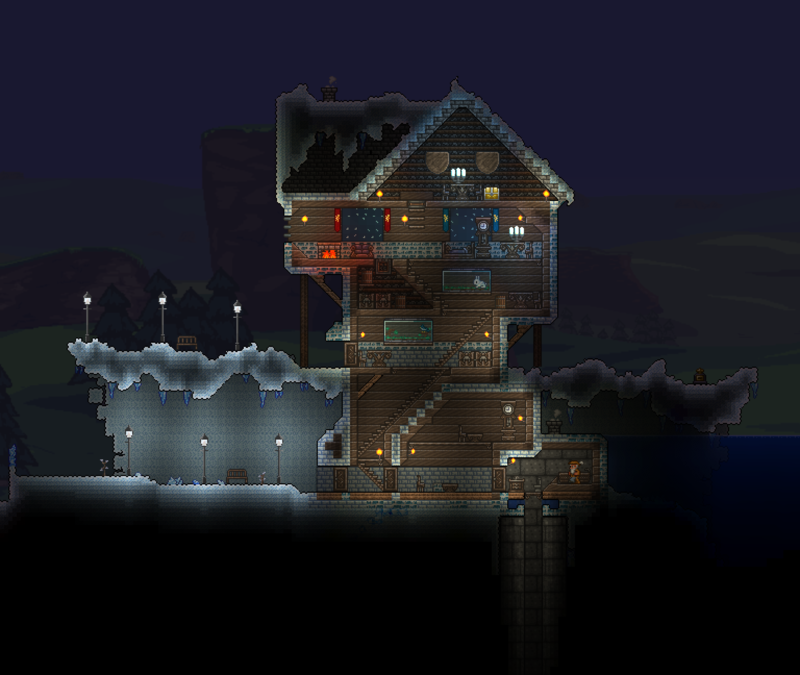 Some of my favorites by him are his desert base, his right-ocean beach house and cruise liner, and his snow fort. Now, here are some images!